Used 2005 Porsche Convertible Values - NADAguides! Porsche enters 2005 with major changes to their 911 and Boxster model. 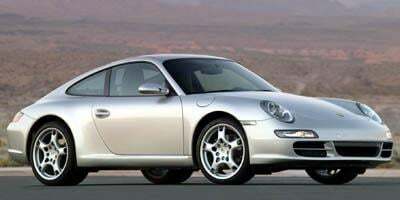 The 2005 Porsche line-up is highlighted by an upgraded 911 Carrera and 911 Carrera S. Classified as a type 997 platform, the 2005 Porsche 911 is noted to feature a front end design maintaining greater tradition to the original sports car than the previous type 996 vehicle. A reworking suspension and a wider track are upgrades found on the new 2005 model. The 911 Turbo S, GT2 and GT3 are among examples of the sports car retaining its type 996 characteristics for this year. Well-liked since its introduction in 1997, the Porsche Boxster's formula has received a major refinement resulting in modernized styling and more performance. 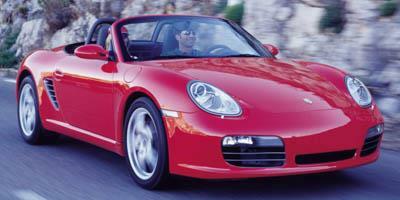 The base 2005 Boxster now produces 240 horsepower while the Boxster S offers 280 horsepower. A choice of a six-speed manual transmission is offered with the six-cylinder powered Porsche Cayenne is new for the premium performance utility vehicle for 2005. Also, an available Panorama glass roof is offered with the 2005 Cayenne. Updated for the new model year with refreshed styling, the 2005 Porsche 911 Carrera is a two-door high-performance sports car that is the measuring stick for most other sports cars. More power and a refreshed appearance are just part of the appeal of the 2005 Porsche Boxster, a two-passenger, two-door sports convertible.